Johannes Kepler, renowned German mathematician and astronomer, described the effect of gravity as a direct proportion to the inverse of the distance between the two objects. However, in 1645, a French astronomer named Ismaël Bullialdus corrected Kepler by showing the relationship to actually be proportionate to the inverse of the distance squared. He was essentially showing a geometric dilution from a point source of radiation. The inverse square law also pops up in a very important field of study known as QED, or quantum electrodynamics. QED describes how light and matter interact, and is the first theory that fully reconciles quantum mechanics and special relativity. QED calls for the upholding of the inverse square law with reference to light because photons have a vanishing pole mass. This works because the Power output of the light source has to be divided by the surface area it has to cover. If the intensity was measured one meter away from the light source, the intensity would be the power (S) divided by 4π times 1 squared. This makes the intensity of light proportional, the proportion is 1/(4π), to the inverse of the distance squared. The aim in this investigation is to determine whether the intensity of light decreases as a proportion of the inverse of the distance squared, and I hypothesise that the real-world results will reconcile with the math. If I measure the intensity of light at a given distance of r, it will decrease proportionally to the inverse of the distance squared. 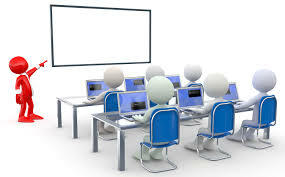 •	Set up lab area, including computer, sensor, and light bulb. •	Turn off all sources of light in room. •	Measure and record the distance between the light source and light bulb. •	Take data for 1 second, then record the value. •	Repeat steps 3 and 4 for varying distances from the light source. 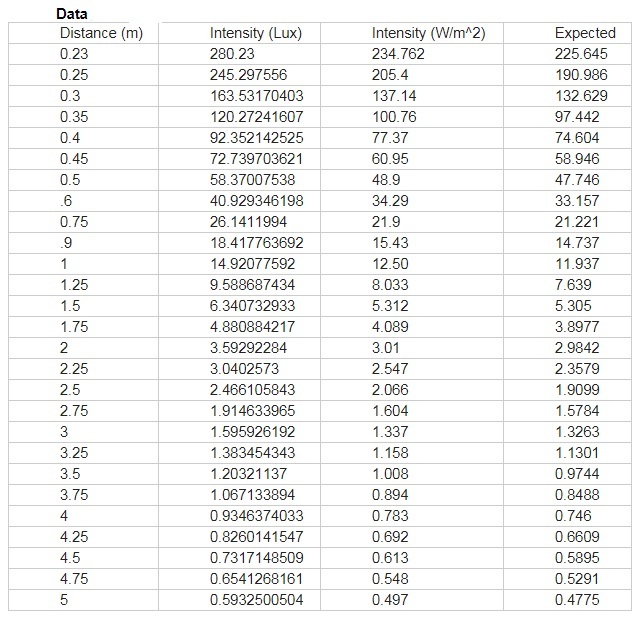 •	Once data is all taken, run data through calculations to represent intensity of the light in Watts per square meter. •	Plot data, once to show inverse square curve, and once to show linearized data. I am going to be incrementally increasing the distance between the light source and the fixed light sensor to get a smooth graph showing the 1/r2 relationship. I am measuring the intensity of light using a fixed light sensor. Controls: ambient light in the room, wattage of bulb, increment of measurement, reflective surfaces in the room, reflective potential of my body, angle of lightbulb, height of lightbulb. Where the Intensity, in Watts / m², is equal to the Illuminance, in Lux, times the surface area, in m², divided by the luminous efficacy, in Lumens / Watt, times the squared distance, in m². It can be simplified by removing the distance squared and leaving the 4πin the numerator. was used to give a mathematical approximation for the target value of my experiment. Error; I took the difference between my calculated and measured data, and divided that by the calculated data to get a value for the percent error. I calculated error for all my data points and averaged them to get ~3.9% error. I was successful in testing and affirming the Inverse Square Law with reference to Light. The data I collected was decently accurate, ~3.9% error, and reflected a hyperbolic trend proportional to 1/r2. The linearized graph helped to strengthen my data and my procedure, and provides an easy way to assess the accuracy of my data. My data affirmed my hypothesis in that the intensity of light did decrease at the projected rate, very close to an exact trend. Although my data was decently accurate, there were a few key sources of error. All of my measured values were slightly higher than those calculated through the equation, and I think reflected light is to blame for this. I used the large, darkened physics classroom at my school to gather data. For the most part, barring the occasional printer light or computer power button, there were no external light sources present. However, there was certainly potential for reflected light to find its way into the light sensor. The floor of the room is linoleum, which certainly reflected some of the light, as well as metal tables and chairs around the room. I think this was the most significant factor in the error in my lab, skewing all my data high. Another thing to discuss is the human error present in the lab. I hand measured the distances between the bulb and the sensor, and it is impossible to be exact in these measurements. Even though I don’t think human error made a significant impact in the volatility of my data, it has to be mentioned. The third potential source of error in my lab was the imperfections of the light bulb and sensor. I used an incandescent light bulb in my lab, so the origin of the light was not a pinprick, but a small wire. To counteract this, I tried turning the light bulb to find the smallest origin of light with the least resistance. Of course, a true pinpoint of light would be needed to perfect this experiment. The light sensor I used was also not incredibly accurate and required a scaling factor to get a more exact reading. The extrapolation of data within the sensor, as well as potential mechanical inconsistencies could have thrown the data askew. This Wikipedia page provided useful insight into the concept at play and how they interacted with each other. A Berkeley lesson on what Light intensity is and how it is changed by amplitude and frequency. 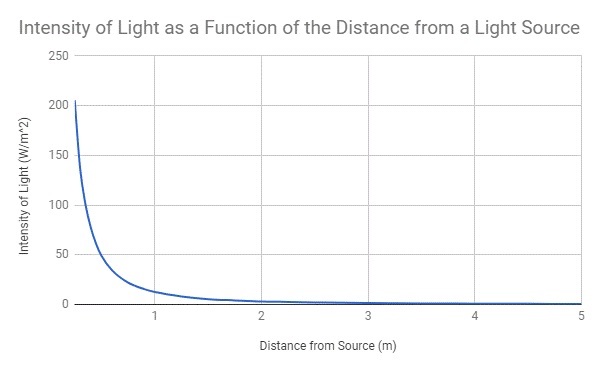 This helps to explain why the inverse square law works with the case of light. Again discusses the inverse square law, but in reference to multiple different fields of application. Discussion on relations between Luminous Intensity and Luminous Flux.